Student signs in as Melanie Johnson-DeBaufre and Javier Viera look on. 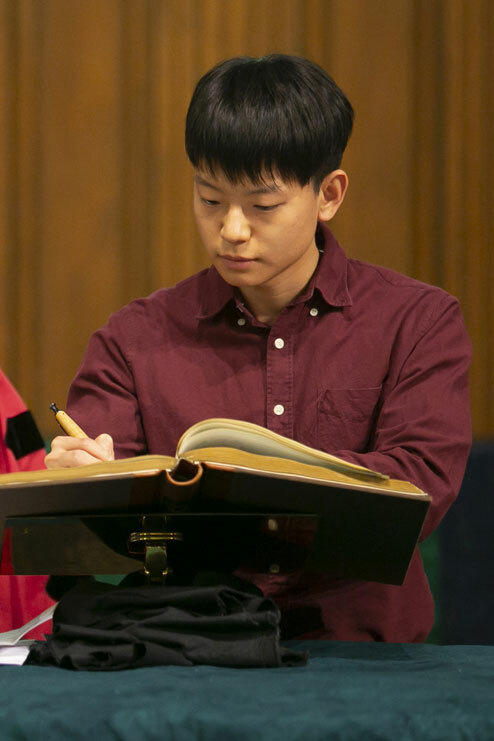 January 2019 – The ritual signing of the 150-year-old matriculation book is a rite of passage for all students entering Drew Theological School and this class is the largest for the spring semester in a decade. 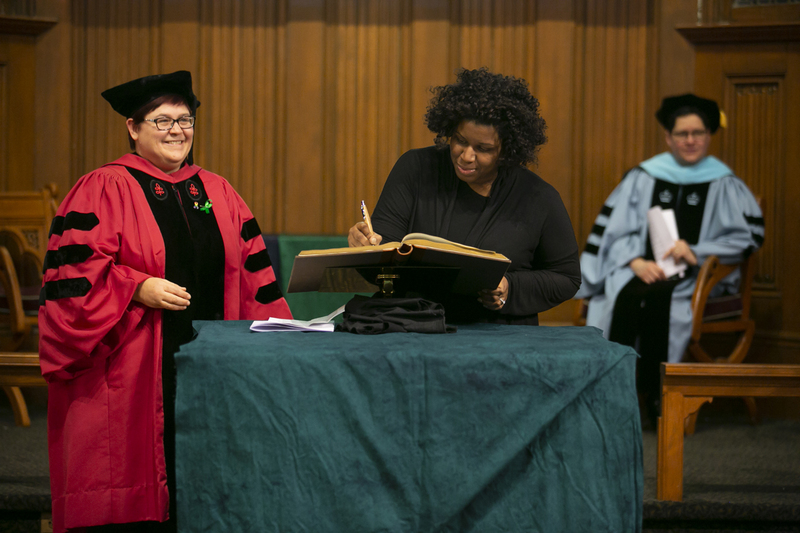 The community celebrated with a service filled with song, readings, and inspiring remarks by Dean Javier Viera and the two associate deans: Melanie Johnson-DeBaufre and Tanya Linn Bennett. Professor Catherine Keller, the George T. Cobb Professor of Constructive Theology, delivered the matriculation address. It's largest class for the spring semester in 10 years. In his address, Viera acknowledged the commitment of the new students, noting, “This is no small task. It’s actually the work of a lifetime.” He added that this will be “an especially trying semester” given the political unrest in the United Methodist Church and the nation as a whole.